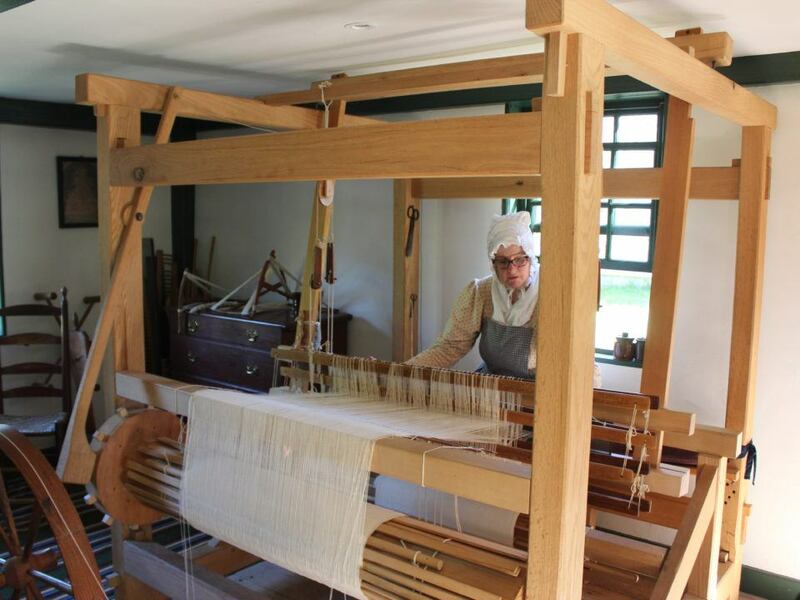 The Fenno House textile exhibit explores cloth making in early New England. By the early 19th century, machine-woven cloth from Britain and New England’s own textile factories were eliminating demand for traditional handspun and hand-woven products. But some spinning wheels were still in use, and a number of handloom weavers continued to find custom work making blankets, coverlets, and cloth. 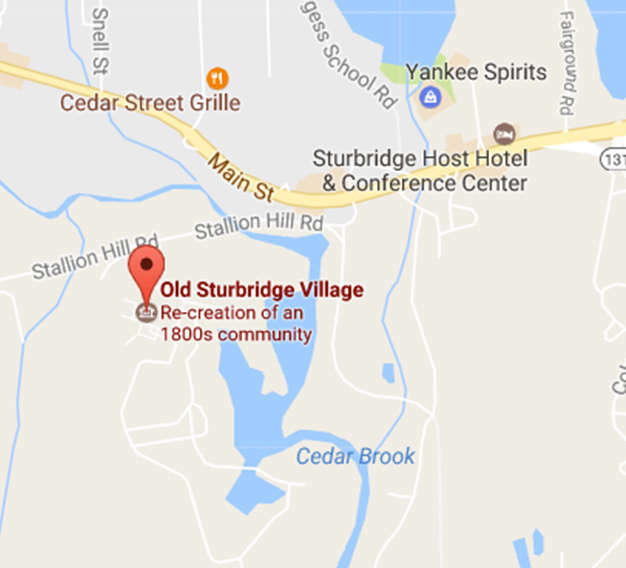 The Fenno House is the oldest building at Old Sturbridge Village. For more than 100 years, the house had been dated to 1704. In 2006, however, the Village conducted a study of the tree-rings on the timbers used to construct the house and discovered that the wood had been cut down in 1724. This fact also aligns with the decorative details found inside the house.